How to Wash Adidas Sneakers. A pair of Adidas sneakers is a serious investment. Since you've already put a lot of money into the shoes, you want to keep them in great shape. This requires regular maintenance of the shoes and washing when the situation calls for it. To wash Adidas sneakers you'll need a washcloth, cold water and some mild detergent. Fill a small bowl with cold water and add a small amount of detergent to the water. Mix everything well with your hands to get the soap and water to blend thoroughly. Dip a washcloth into the bowl until it's well soaked and wring out any excess water. Leaving too much water on the cloth can saturate your shoes and make them harder to dry. 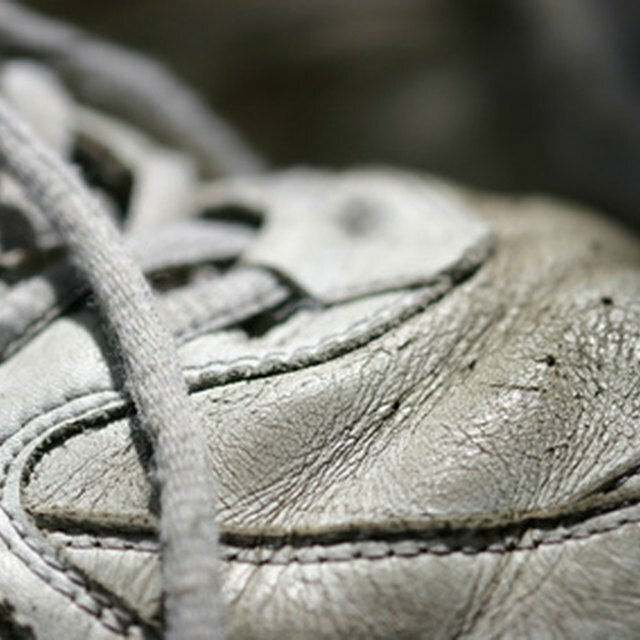 Apply the damp cloth to your sneakers to rub off the dirt and grime. It doesn't matter what motion you use; just do what works best for you. Wipe the shoes off with a dry cloth and look for any dirty spots that may have been left behind. If you find any spots, dampen your washcloth and clean them again. You may find that you need to do this several times to properly clean your shoes. Let the sneakers sit in a warm spot to air dry. Depending on how wet the shoes got, you may need to let them sit for several days. Use shoe polish to keep the leather supple and fresh. You should use a clear polish or a colored polish that matches the color of your Adidas sneakers. If you have a lot of mud or dirt caked onto the shoes, wipe it off with your hands or a dry cloth first. This helps you clean the shoes more easily and stops you from rubbing the dirt further into the shoes. Never put Adidas shoes in a washing machine. This can seriously damage the leather and cause the stitching to come loose. Do not use the dryer to dry the shoes because it can damage the materials. It can cause the leather parts to turn yellow, and the heat can cause the shoe leather to come unglued from the sole.